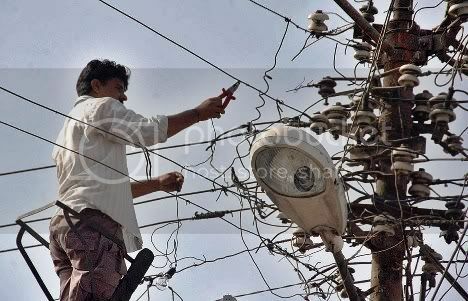 Karachi �The Karachi Electric Supply Company has said its Clifton Grid caught fire on Saturday morning, affecting three TRAFOs, due to which there was a power outage on 27 feeders. However, right after the incident, KESC�s technical teams started repair work and nine out of the 27 feeders were either fixed or back fed during the day. TRAFO-3 was energised later in the evening at around 10.00 PM. Work is still underway on all the remaining feeders and KESC�s teams are working towards restoring power to the entire area. It was an unusual situation where all three TRAFOs were affected due to the fire and that is the reason it has taken a long time to complete the restoration work. KESC expressed its regrets for the inconvenience caused to consumers and assured them that restoration work would continue at full speed till the entire area is normalised. Meanwhile, KESC�s call centre and social media channels kept consumers informed of the situation. The power utility has rejected the impression created by a section of the media that call centre activity was suspended due to this incident. The call centre and all other communication channels were fully functional, the statement said. While expressing regrets over this unplanned outage, KESC assured its customersthat the remaining two TRAFOs will be energized soon and the situation will be normalised as repair work is continuously underway.